You are here: Home / Book Love / February Read-Alouds and Freebies! February is full of fun holidays and events. You can celebrate I Love to Read Month, Chinese New Year, Valentine’s Day, President’s Day and Black History Month! 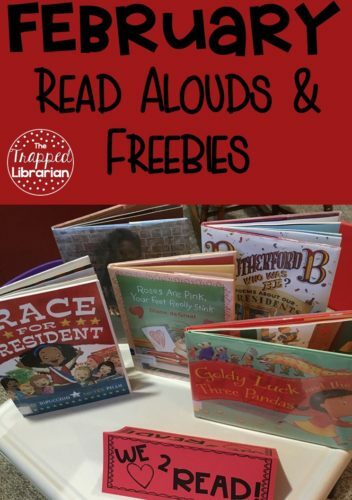 I’ve found some great read-alouds for you to have on hand during this busy month (I checked out these books from my school library) and paired them with some fabulous FREE resources you can find on Teachers Pay Teachers! This blog post contains Amazon affiliate links. If you click on a link and make a purchase, I may receive a small stipend at no cost to you. Chinese New Year often begins in February. 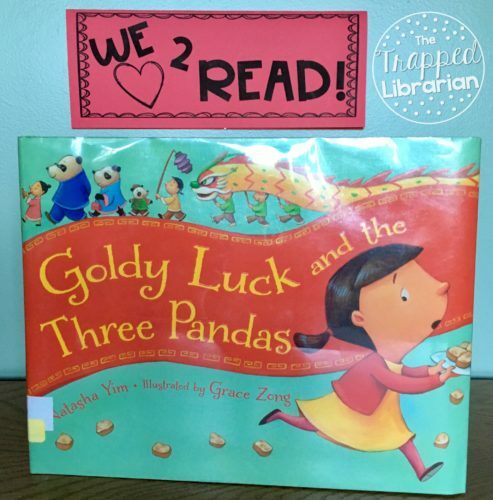 A fabulous new book in my library collection is Goldy Luck and the Three Pandas by Natasha Yim, illustrated by Grace Zong. This delightful rendition of the traditional story starts on the first day of Chinese New Year and follows along predictably, sprinkled with items from Chinese culture. After Goldy makes her mess at the Panda home, she feels sorry and goes back to apologize and clean up. In the end, she has made a new friend by doing the right thing. This book has an excellent author’s note, explanation of the Chinese Zodiac, and a recipe for turnip cakes! FREEBIE: Teacher Tam’s Chinese New Year resource is aimed at students in grades K-3. It has directions for an art project creating traditional Chinese lanterns, some Chinese number cut and paste pages, addition with Chinese numbers and activity pages for tracing Chinese numbers and sayings. This 12-page packet is brimming with ideas for you to give your students a glimpse into Chinese culture! 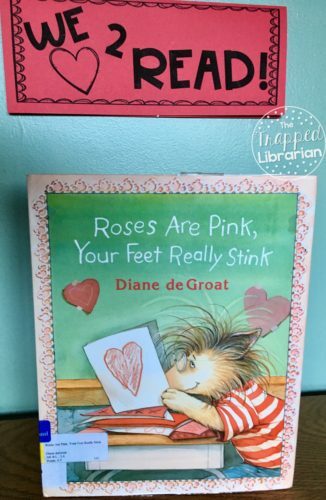 Roses Are Pink, Your Feet Really Stink by Diane deGroat Diane deGroat’s books are favorites of mine because there is always a lesson about treating others with kindness. 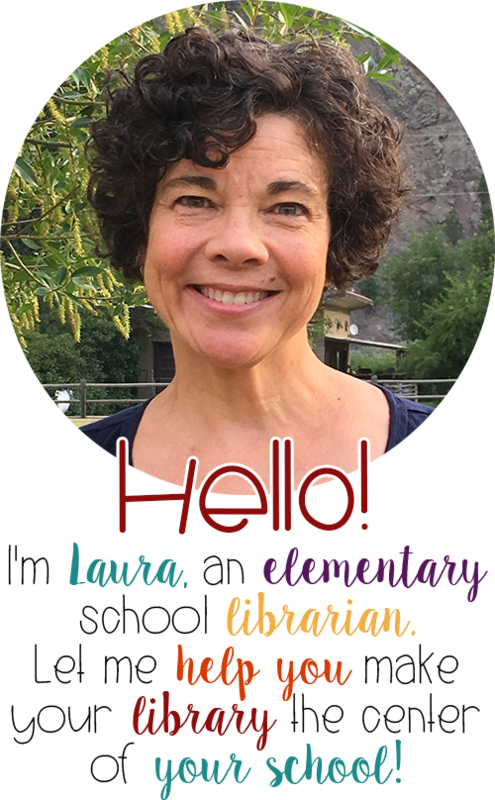 She captures the atmosphere of elementary school perfectly in the animal world she creates and students can relate to the feelings and events portrayed in her stories. In this book, Gilbert has a grudge against two of his classmates and he makes them each an unkind Valentine card. This causes a series of events that leaves Gilbert without any friends to play with. Gilbert learns to think about the feelings of others and he and the two classmates talk it out and apologize to one another. Interspersed throughout the book are rhyming Valentine verses, so this would be a great time for a poetry lesson as well. FREEBIE: The Show Some LOVE positive thinking poster set from Digital Divide and Conquer is a great resource for a small bulletin board or wall display. Talk with your students about each of the reminders (L is for “Look on the bright side.”) and help spread a culture of kindness in your school! 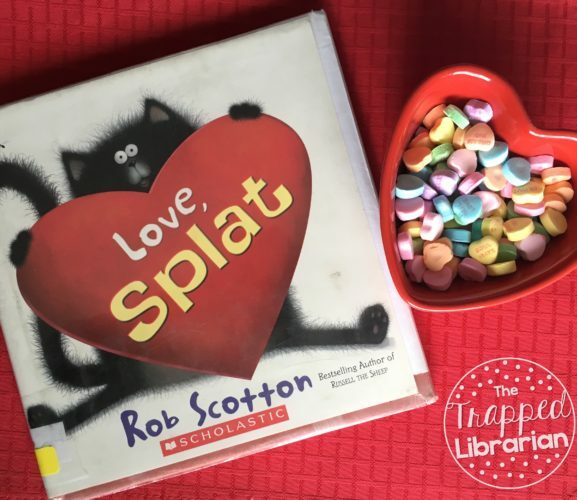 Love, Splat by Rob Scotton Splat the Cat is very popular in my library right now! Splat is a worrier and I think kids can relate to his feelings. In this sweet story, Splat makes a special Valentine for Kitten, but he gets worried when he finds out that Spike likes her too. By being himself, honest and kind, Splat finds out why Kitten does the crazy things she does to him – she likes him too! FREEBIE: Jen Jones’ Valentine’s Day Notes for Friends is a terrific resource for encouraging your students to send positive messages to one another. The Valentine notes can be printed in color, or black and white (Students would enjoy coloring them!). The resource includes pages for class lists so no one is left out. Rutherford B., Who Was He? : Poems about our Presidents by Marilyn Singer, illustrated by John Hendrix This is a great collection of poems about every president through Barack Obama. You can pick and choose, pairing each one you read aloud with the informative author’s note at the back of the book. You could even use a poem as a spring board to diver deeper into research on a particular president. 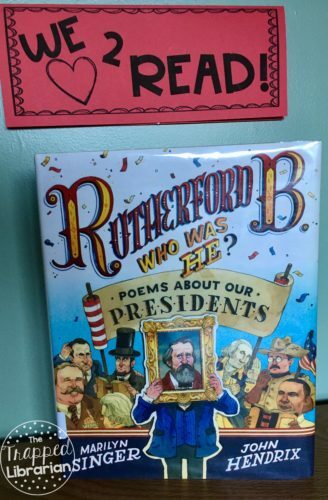 Try this: Read a nonfiction book about a president and then read the poem from Rutherford B. Ask students to reflect on what the author is offering commentary on in the poem. FREEBIE: Presidents’ Day Free Printables from Michelle Tomaszewski is 9 pages of activities including “If I Were President” writing page, a Presidents’ Day Poem, word search, acrostic, word hunt, Venn diagram, and a list of all the U.S. Presidents. 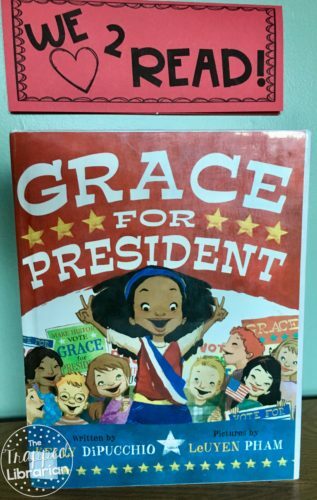 Grace for President by Kelly DiPucchio, illustrated by LeUyen Pham A spunky story about an African American girl named Grace who is surprised to learn there has not been a woman president. She decides to run for school president and campaigns and runs against a boy named Thomas. Their school’s election models the electoral college as each student casts a vote on behalf of a state. Grace follows through on her campaign promises even before the election and is eventually the winner. In the end, she sets a goal of becoming the president of the United States. An author’s note has some background on the electoral college. This is a great book for expanding your selection of diverse books and it will inspire your students! FREEBIE: First Grade Roars’ Grace for President Freebie has a Venn diagram for comparing the candidates along with a book reflection page helping kids recount the beginning, middle and end of the story, and a page for designing their own campaign poster. 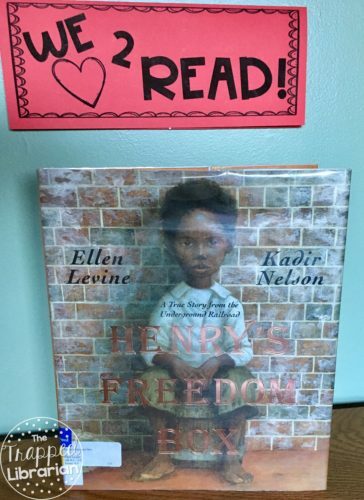 Henry’s Freedom Box by Ellen Levine, illustrated by Kadir Nelson The beautiful pictures in this Caldecott Honor book are what first drew me in, but the story is incredible! This fictionalized account of Henry “Box” Brown has the great “wow factor” of a man who mailed himself to freedom, but it is also a thoughtful representation of the sorrow of slavery, especially in how Henry is separated from his family. FREEBIE: Teacher Thrive’s Story Map! Visual Story Element Tool is a great organizer for the elements of any story. One or two-page versions are included and the example is filled out for Henry’s Freedom Box. 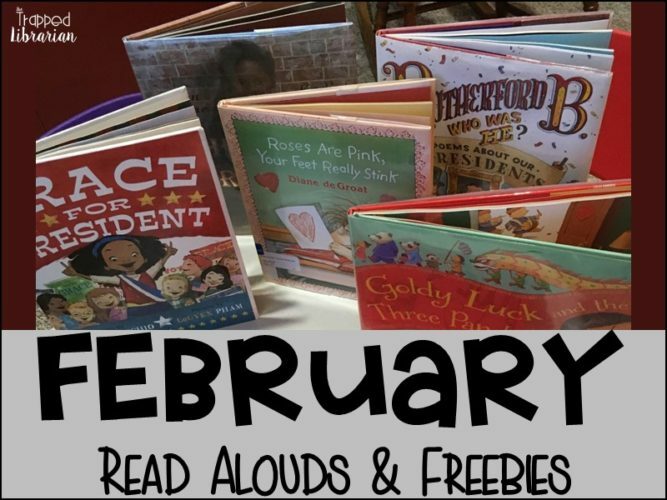 I hope you’ll take advantage of the generosity of the teacher authors I’ve mentioned and download their free resources to use with some of these great books for February! An Extra Freebie for You! Grab my free Valentine Estimation Jar Activity for “I Love to Read Month” in the library or Valentine’s Day in the classroom. 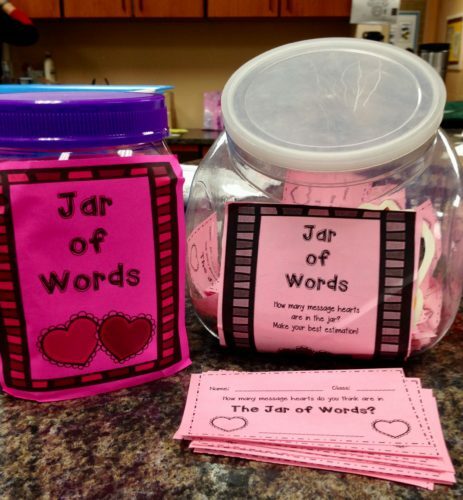 Your students will love putting their estimation skills to work with this Jar of Words! Would you like to add even more pizzazz to your February events? 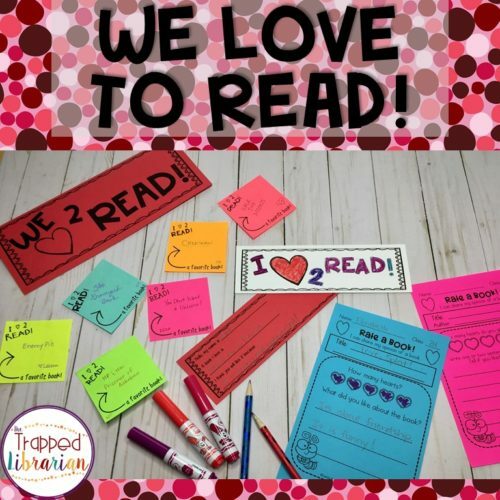 Check out my I LOVE TO READ MONTH Bulletin Board and Activity Kit for a low-prep bulletin board and some fun activities for your library or classroom! What is your favorite picture book for February? Let us know below!